Congratulations on your PCS orders to Oahu! Many of our military members are super excited to get orders to Hawaii. Others are a little concerned about “living on an island”. “Island Fever” is a frequent topic of conversation, but there is a plenty to keep you busy if you choose. Everyone knows something about Waikiki. Living in a vacation destination is a little different than other duty stations. As you’re learning about the island and your new home. Some base housing options are very close to your duty location. Others provide the same “commute” as a local. Would you rather live in newer construction farther from base. Or, in an older mid-century modern that needs some refreshing. Ewa Beach and Kapolei are sunnier neighborhoods with new projects. We call this “the leeward side”. The trade off is the traffic during commute hours. Depending on where your duty locations is, it can be 1-1.5 hours each way. Kaneohe, Maunawili, Nuuanu and Manoa often have rainfall so the good news is that it costs less to water your lawn and plants. We call these neighborhoods the windward side. The price of living in paradise is high. If you decide to buy, you will want to meet with a lender who can guide you so you can get the best rates and terms. If you need some recommendations, please message me. Now thinking about buying…yet? No worries! Read this guide, theres a free download as well, and make your transition smooth. Not thinking about buying…yet? No worries! Read this guide, theres a free download as well, and make your transition smooth. This article is here to help you. To help you understand the PCS move process. To help you have the right expectations for arrival in Hawaii. And, more important, to set you and your family up to enjoy Hawaii as much as possible. Waves, beaches, golf, hiking, surfing, paddle boarding, fishing, diving, snorkeling, and beautiful weather. The opportunity is here for you to make this duty station memorable for all the right reasons! After you get your PCS order, your new command will assign a sponsor. Your sponsor will have a lot of really good information for you as you’re preparing to move, and can be tremendously helpful. Take advantage of the service specific info they provide, and the most current issues being faced. One of the best sources of information and support is your spouse (if you have one) or a local agent (me!) who can hook you up with someone. With Facebook’s popularity, I recommend connecting with a Facebook page or group for the island. There are groups for virtually everyone and every interest. Should I bring all of my Household Goods? Do you have a big family or just you and your spouse? Planning for your move is important. The living space available in most Hawaii homes is much less that most U.S. newcomers are used to. For a typical 3 bedroom /2 bath home in Hawaii, you can expect to have about 1,500 sq. ft. of space. That’s a big difference from most military homes. Giving thought to what comes and what stays behind takes some time and some planning. Planning now is going to make the rest of your transition much simpler! How do I Estimate my Household Goods? As a general rule of thumb, using 1,500 pounds per room will give you a good estimate. Move.mil provides a good estimating tool, and can assist in making decisions as you plan. All military members have heard the horror stories about broken furniture and claims. 1. Take dated/timestamped pictures the day before the movers arrived. 2. Take a photographic inventory of all your belongings. Use your mobile phone. This will do wonders to get this done fast, and if you need to file a claim this will be important. 3. Consider adding more insurance coverage if you’re moving high-value items. The moving company only pays a limited amount, so know that going into your PCS move. 4. No matter how hard movers try, particle board (book cases, TV stands, desks, children’s dressers, etc) don’t ever fit back together right. 5. Make sure that the inventory list that the mover hands you is correct before they leave. If you sign the document at delivery and then notice something missing, you’ll have a difficult time with a claim. 6. Be nice. The movers are taking care of your property. It’s amazing how far being nice will go in keeping your HHG in good shape. You’re going to be stressed, and the movers go very fast. Most houses are packed and shipped in a few short hours. How Do I Bring My Pet? 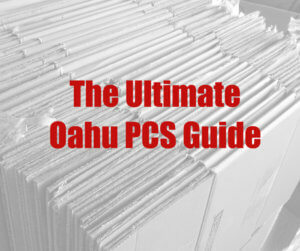 It’s important to take the time to understand Hawaii state laws about your pets before your PCS move. We understand that your pets are a part of your family. Hawaii is completely rabies-free. The State goes through extensive steps to protect that condition. The quarantine law in Hawaii is there to protect residents and pets from serious health problems associated with the introduction and spread of rabies. All dogs and cats, regardless of age (puppies and kittens included) or purpose, must comply with Hawaii’s dog and cat import requirements. So, no matter your circumstances every dog and cat must go through quarantine. The good news is that you can impact how long your furry family member will be in quarantine! Your pet’s pre-arrival checklist will determine how long your pet will stay in quarantine. Don’t put that document on the counter and forget about it. Talk to your veterinarian about the move. Some pets can receive 30 day, 5 day, or even direct release from the Honolulu International Airport. But, you must complete the paperwork in advance. If you don’t qualify for “early release” all pets are quarantined for 120 days upon arrival in Honolulu. All Part of the Military Family! How to Qualify Your Pet for the 5-day or Less Quarantine Program? As soon as you get your PCS orders, start planning! Every family wants to qualify for the 5-day-or-less quarantine program. We pulled the experts in on this one, and you can find a FAQ and instructions here. Obviously a move is stressful for you, and, it’s also stressful for the furry members of your family. Once your pet is in quarantine, you’ll want to ensure that they know you’re there and have a short visit. A good rule of thumb is to arrange flights to arrive by 1530. It may (usually) take up to 1 hour for the airlines to transport any pets to the Airport Animal Quarantine Holding Facility. Inspection hours for dog and cats at HNL are between 0800-1700 daily. Outside of these hours, your pets will have to stay overnight at the Animal Quarantine Station. You’ll pick them up (if you did your paperwork) the next day. 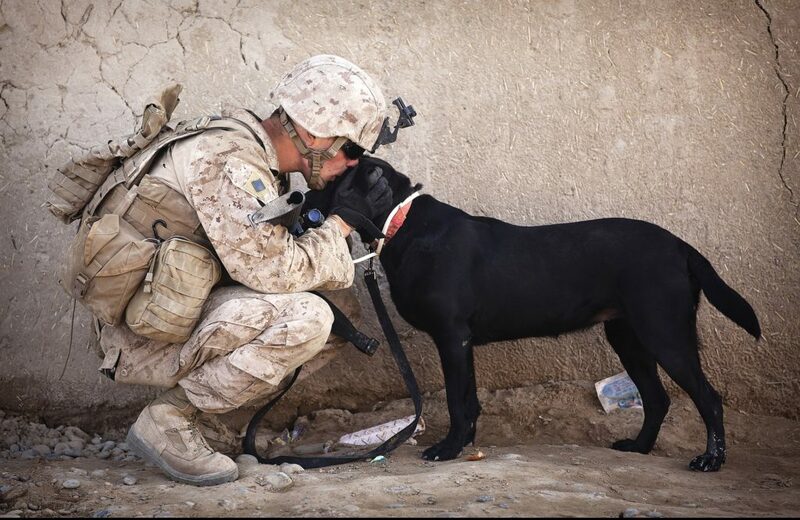 United Airlines Military & State Department pet exemptions – Pets travel as checked baggage with PCS orders. Island Pet Movers is a veteran owned and operated pet relocation service that has helped many military families on their PCS move to Hawaii. Where are the best places to stay while on Temporary Housing Allowance (TLA)? The obvious answer is…at an approved Hotel. A quick reminder: Newcomers must report to their housing office within 72 hours. (This is usually in your orders as well). Once you get into the housing office, you’re provided temporary lodging. Timing plays a big role here, as your location will be dependent upon availability. From the housing office you’re directed to either on- or off- base temporary lodging. Here’s where you get to make your choices. Which houses are you offered on base (or post), and then it’s decision time. Do you accept the base housing or find a home on the economy? If nothing is available, you’ll likely get TLA. Typically, TLA can last 30 to 60 days. However, before checking into a TLA-approved hotel, please ensure you have authorization. To get this authorization, request a TLA “Non-Availability” letter before making any reservation. QUICK TIP: Thinking about searching for a home off base? If you enter a contract to buy an island house or condo, you must provide documentation to the housing office as evidence of your home search and escrow. Your realtor can help you tremendously with gathering local information. Commute time, easy commute, military friendly neighborhoods, and other questions or options you would like to find in your soon to be home. NOTE: I would love to talk with you if you want to live off post: here’s a simple way to chat. Please understand that during the day, I may be driving looking at homes or in a meeting, but I’ll get to your questions as soon as I am able. Do I Really Need To Go To The Newcomers’ Briefing? This isn’t offered at every location, but if you have the option you should go! Check with your sponsor for details! A Glimpse of the Hawaii scenery! How do I get my POV to Hawaii? Military members are authorized shipment of 1 POV at government expense. (This information is in your orders). From ports on the West Coast, POV shipping is approximately $1,000 for transport charges to Hawaii. A timeline for transport could be 2 weeks to a month, it all depends on when the cargo ship leaves harbor. It’s not something that you have control over, so focus on the details you can control. Once you arrive on island, call the Vehicle Processing Center at Horizon Lines to arrange for pickup. Click for more information on vehicle turn in, checkout, or in-transit visibility. Where do I register my POV? Now that my vehicle arrived, now what? You must register your POV with the Hawaii Department of Motor Vehicle Registration within the first 30 days of arrival. For more information, visit the Department of Motor Vehicle Information webpage. Of course, being military we have a form to fill out and submit. Submit a completed Non-Resident Certificate, Form CS-L (MVR) 50*, for each registration, renewal, or transfer. Form CS-L (MVR) 50 and Form CS-L (MVR) 50A are available from your military personnel office or your unit. Vehicle registration approval will require a passed Hawaii State Safety Inspection. Most of the service stations around Oahu perform inspections. Look for the big Safety Inspection sign, stop in to chat with the locals, or simply call. You have to pass the inspection BEFORE you can register your car. If there are any issues, they will have to be fixed before they will pass your vehicle. To get a Hawaii’s drivers license, visit this Driver’s License Information webpage. Like most of the country at this point, texting and driving is a big issue. The Honolulu City Council just passed a bill that allows the City to fine you if you are texting while walking across a street ($15-$99 fine)…so be alert as this may soon be law. Talking on your cell phone while driving is also against the law in Hawaii. Please remember, everyone (including the back seat passenger) must wear seatbelts. Motorcycle helmets are optional (until you go on base) but advisable for your safety. No option on base! I Want To Bring My Weapons, What’s The Process? 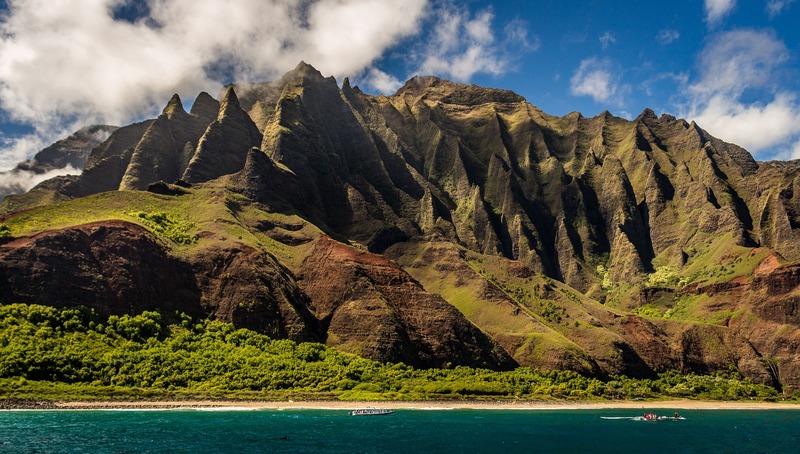 When you arrive in Hawaii, you’ll need to register any firearms with the state, and the base. Hawaii is very strict on firearms, so you’ll want to act quickly. You have a short grace period upon arrival, which is 3 days. You’ll need to register your firearms with the Honolulu Police Department (HPD). To register simply take the unloaded firearm to the Firearms Division of HPD for inspection along with proper identification and proof of ownership. You will be fingerprinted ($16.50 fee), photographed, and you’re done. If you plan to live in military or privatized on base housing, you must register the firearm with the base’s security. You will need to bring a valid military ID card and proof of HPD firearm registration, and proof of residence in the housing area. Check with your sponsor, or the Military directory for the best contact info. How Do I Request a Temporary Mailing Address? 30 days before your PCS would be a good time to reserve a mailbox. Each base will have their own temporary mailbox location and point of contact. Upon arrival, temporary mailboxes can be reserved for 90 days, and they can be extended by request. >Each base has a post office, and Oahu’s Military Directory (808.449.7110) provides a great source of information for your needs. Where do I find out info about Medical? What about the Kid’s School? The Hawaii State Department of Education works hard to smooth the transition for military families who enroll their children in Hawaii’s public schools. School enrollment requirements, zone maps, and FAQ can be found online. It’s also recommended that you contact your current and destination SLO (School Liaison Officer) to assist with the transition. GreatSchools.org is a great resource that will quickly acquaint you with school ratings and performance. If you’d like to find a private or parochial school, click here. There are a number of summer camps listed. There are many schools and after school programs as well. Can I HomeSchool The Kids? There are many homeschooling communities, active and flourishing all over the island. Oahu is a close community, the groups are welcoming and helpful. The family gets to enjoy too! The Big Decision: Should We Stay In Base Housing, Rent, or Consider Buying? Every military family that moves to Hawaii makes this decision. Base housing has improved over the last 10 years. Old WWII houses were demolished, and new homes built. Base housing is convenient. But, you lose the opportunity to integrate into the community. You’ll also lose your BAH by accepting base housing. One of the reasons my clients chose to buy. When you look at the BAH amount, calculate the amount spent on housing, and realize that you can build some real estate assets. 2. Use BAH to pay rent (pay someone else’s mortgage). 3. Use BAH to pay your mortgage and build an asset for family. Depending on which base you’re assigned to will determine the base housing options. The housing office will attempt to put you into a location that’s close to the base. But, their goal is to fill the houses not to make your life convenient. Talk to others who commute. You’ll learn which housing complexes are worth accepting and which should be passed. Many families being “on the town”, and move into base housing once a better unit opens up. Of course, many also decline this housing and enjoy the island as well. If you decide on base living is not for you, renting is an option. You will be provided a significant amount of BAH based on your grade and dependent status. BAH is there to offset the cost of rent by offering a monthly allowance that allows you to live comfortably. In fact, BAH is actually formulated off local area rent averages. As rent increases or decreases, BAH amounts will follow in trend. Renting is expensive on Oahu, but so is the BAH. To find out what you will be provided in BAH on Oahu, visit the Defense Travel Management Office’s BAH Calculator Tool. Preferred Oahu rental search resources are Craigslist or AHRN. Craigslist is a popular online option when looking for rentals. I would recommend a conversation based upon the base your assigned as well as your duty hours. You can also visit my company website for rentals. I’m Interested In Purchasing a Home, but Have Some Concerns! Not interested in losing your BAH to on-base housing or rental landlords? Then, Buying a home on Oahu just might be the option for you. 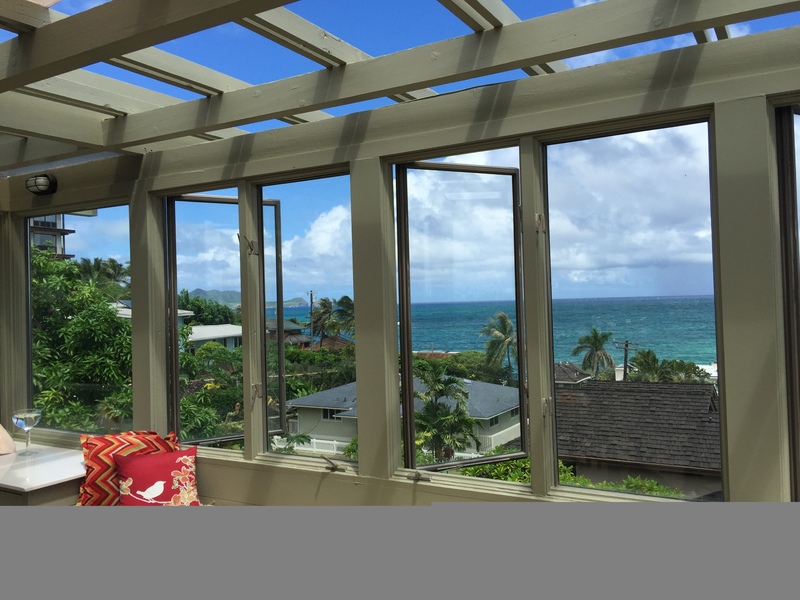 The ideal time to buy a home is upon your first PCS arrival into Oahu. 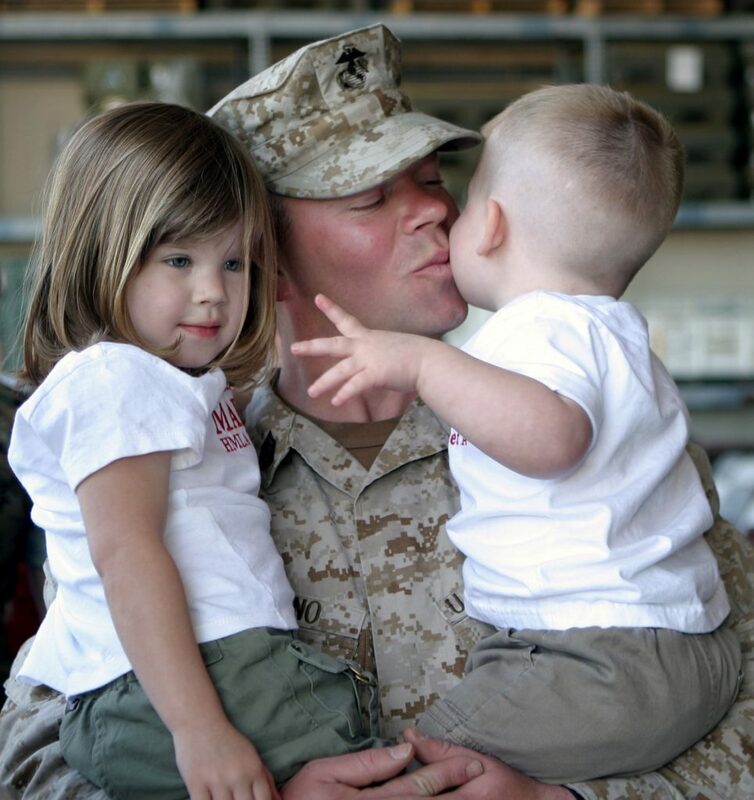 Military members and their families are provided 8 days of “house hunting” and up to 60 days of Temporary Housing Allowance (TLA) to look for and purchase a home. Considering it takes 45-60 days to “close an escrow” (purchase a home), this is exactly the right amount of time to get into an island home. There are a couple of local lenders who can close in less than 45 days (as quick as 28-30 days). If you need a recommendation, let me know. The biggest question I get. Will my home appreciate? The median price of a home on Oahu in 1985 was $158,600. In July 2015, the median price of a house was $710,000. In June, 2017, it increased to $795,000! Source: Honolulu Board of Realtors. The military has a very strong presence on Oahu. 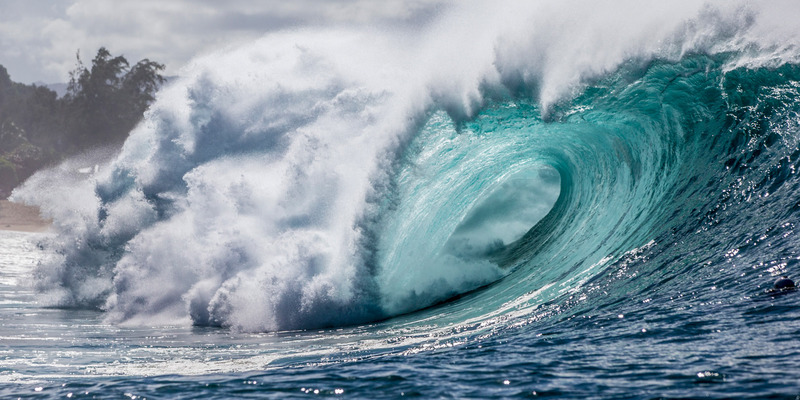 Due to its presence in the Pacific, that is not going to change any time soon. Approximately 30% (thirty percent) of the island is VA-eligible. Will My VA Loan Cover The House? Oahu’s current VA loan benefit limit is set at $721,050. This means if you are pre-approved for a VA loan, a veteran can buy a home at 0% down up to $721,050; as opposed to a Conventional 3-20%+ down loan non-veterans are subject to when buying a home. Already used your VA loan in another location? You’ll be surprised to find out you most likely have enough of the loan left to use the rest of your VA loan on Oahu. Remember, that a requirement of using a VA loan is the buyer(s) must live in the home for at least 1 year immediately after closing. Given the size of the mortgage, another key benefit to using a VA loan include is not having to pay Mortgage Insurance, lower interest rates, and lower credit score requirements. VA loans can also be used to purchase multi-family properties (as long as you live there). It is important to keep in mind when looking to use a VA loan, strict condition requirements must be followed. Homes need to be in good condition (no fixer uppers) and only have permitted work done on them. Any unpermitted improvements causing a property to not match tax records will negate the use of the VA loan. This is to help make sure the veteran is buying a safely built and permitted home. The VA does not want to see veterans hit with home repair costs. They want the transition to home ownership to be as stress-free as possible. When it comes to VA loans, closing costs can be negotiated and sometimes covered by a lender. Generally, buyers will need 2% of the loan amount to pay for closing costs, appraisal, home inspection, taxes, and fees, and other costs. I do have a few “preferred” contacts that I work with, and would like to talk with you to make sure I’m putting you into the best situation as possible. Contact me for more information on how you can take advantage of your VA loan benefit. Where Are “The Best” Places To Live Off Base? This a very dependent upon your goals for your home. What do you want in your home? 1) Age, condition and quality of the home’s construction. Kailua, Kaneohe, Mililani, Ewa Beach, Kapolei, Haleiwa, Aiea, Honolulu are all very popular neighborhoods for military members. They provide the best balance of commuting and quality of life. Looking for New Construction? There are several new or newer buildings in Waikiki through Kaka’ako/Downtown, Mililani, Kapolei and Kailua. Most newly constructed off base housing options exist at the Ewa Plains. This includes Ewa Beach, Hoopili, and Kapolei, and Leeward side of the island, Waianae. How Long Will The Commute Be? Oahu is the land of paradise, it’s also the land of a lot of traffic (much of it due to the Rail Construction Project). The peak commute hours are 6am-10am and 2pm-6:30pm. With more than 1 million people, that’s a lot of cars fighting through a small number of highways. 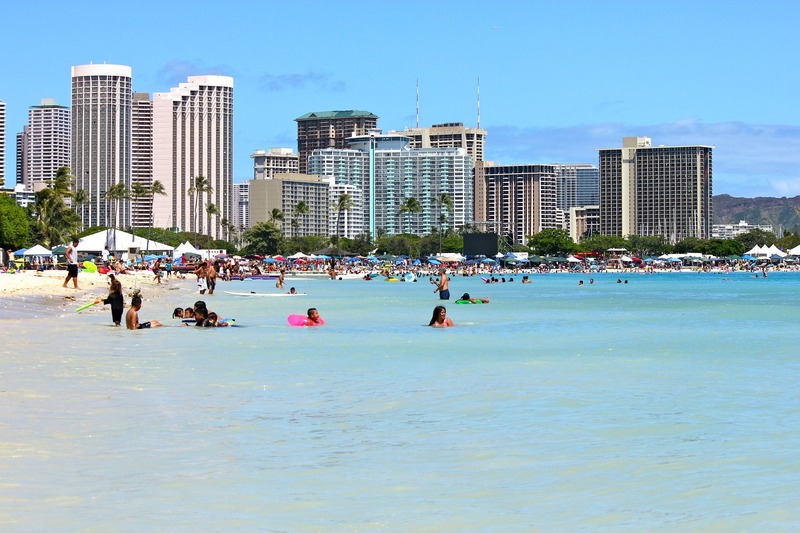 The Leeward side of the island means transit times from 1-2 hours to Pearl Harbor or Hickam. Much depends on your duty requirements. Windward side (Kaneohe or Kailua) traffic generally takes 40 mins-1 hour. H3 is particularity convenient for Pearl or Hickam. This drive will leave you with daily views that are break taking even after years on the island. From the North Shore to Honolulu it can be 45 mins – 1 hour, without traffic. Many soldiers from Schofield Barracks choose Mililani or the North Shore. Both of which are mature communities. Outside of “rush hour” trips from the Leeward and Windward sides into Honolulu can be a quick 30 minutes. Another transportation option will be available when the new rail system comes online. The rail line will start in Kapolei and end at Ala Moana Mall. The estimated time of completion is 2020. Ride times from Kapolei to Ala Moana are expected to be 43 minutes. Visit Honolulu Rail Transit Project for further updates and details. A recent unveiling of Honolulu’s Bicycle Sharing Program. Additional Resources To Speed You On Your Way! Military OneSource – invaluable resource for PCS moving info. State of Hawaii’s Interactive Newcomer’s Guide – access everything related to your move to Hawaii! MyBaseGuide.com – is an affiliate of HI Military and also maintains a very handy APP you can use on your mobile device. Research base info, services phone numbers, local attractions, current weather conditions, even compare local gas prices! Their website also connects you to the handy relocation guides. Great Life Hawaii – is Oahu MWR’s website. This webpage features a ton of great information that will help make your move smoother. Information on entertainment events, equipment rentals, and vacation cottage rentals are also featured. Space Available Flights – The Air Force’s Air Mobility Command offers “Space A” flights to military members and their families. Contact the Joint Base Pearl Harbor-Hickam’s Space Available Terminal Passenger Service Center. Details on obtaining a Command Sponsorship letter (if a spouse plans to travel without the military member) can also be found by contacting Passenger Service Center. Do this before traveling. I hope this guide was helpful in preparing you and your family for your upcoming PCS. If you have any further questions about PCS’ing to Oahu, HI, are interested in exploring your island home options, please contact me for an easy conversation.